Julia has been a NYC resident for the past 10 years. She holds a M.S. degree in Finance, and is fluent in Russian and Serbian. Professionally, her strong background in hospitality has allowed Julia to develop exceptional communication and customer service capabilities. She enjoys meeting new people, practicing yoga, and exploring NYC’s vibrant cultural scene. As a dedicated real estate professional, Julia takes an individualized approach with each of her clients, in order to best serve their needs. 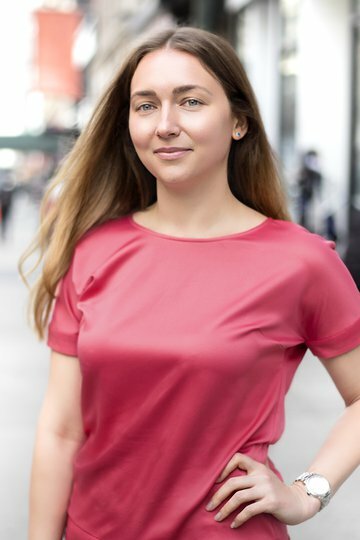 She is active in staying up to date with trends in the local real estate market and enjoys helping people through the tumultuous world of NYC real estate. Julia has traveled extensively throughout the world but feels she will always be a New Yorker at heart. She believes that integrity is the most valuable quality she brings to her relationships with clients. Her passion, excellent taste, and enthusiasm will help you make a successful housing transition in this amazing city. 2 BR at PRINCE ST.
2 BR at E 25TH ST.